Our Limos specialise in airport transfers from Heathrow Airport, Gatwick Airport, London City Airport and Luton Airport. Imagine having your own driver and luxury car waiting at the airport when you arrive in London. Travel in style into London, quickly get to your meeting, conference or hotel check-in. Many train and coach services in London can be subject to delays and cancellations. Especially in the outer airports such as Gatwick airport, Luton airport, Stansted airport, London city airport or Heathrow airport, it can take some time to get to certain locations or hotels in London as you may have to change trains up to four times. That is why we offer you our services and the various choice of luxury cars to enable you to travel comfortably and in style. You can choose from various sizes of Luxury cars through to a full stretch limousine for larger groups that can store luggage and passengers in comfort. It is as simple as placing a booking online and then you have nothing to worry about when you arrive at your airport in London. That is why we are the favourite choice of business clients and travellers who want the most luxurious and efficent airport transfers possible. 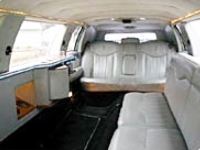 We can arrange limo hire for other events such as business use, weddings, parties, premieres and private functions. Let us take care of your transport in London, and you can enjoy a smooth and comfortable journey from any London airport to your destination. You can visit our pages on each of the London airports (Heathrow airport, Gatwick airport, Stansted airport, Luton airport and London City airport) for information on the terminals and the best options for your airport transfer. You can also book your luxury car online via our secure pages feeling safe that your transaction is being taken care of by our professional staff. If you are interested in our limos and luxury car airport transfer service (from Heathrow airport, Gatwick airport, Stansted airport, Luton airport or London city airport) simply contact us.